The Red Kite (Milvus milvus) is found in the Western Palearctic region in Europe and northwest Africa. The swallow-tailed kite (Elanoides forficatus) is an elanid kite which breeds from the southeastern United States to eastern Peru and northern Argentina. It was formerly named Falco forficatus. 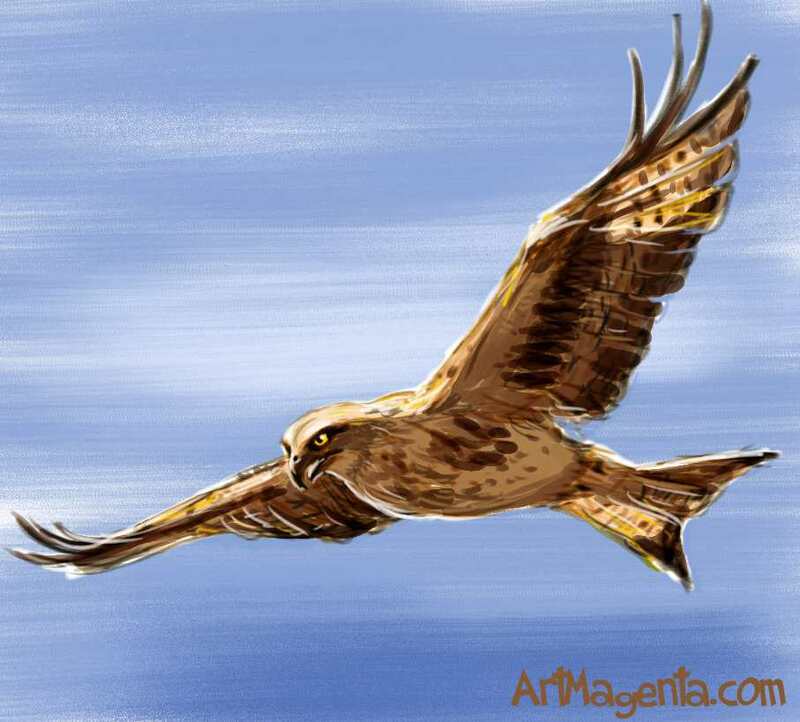 TAGS: Bird painting of Swift-tailed kite, bird sketch of Swift-tailed kite, bird drawing of Swift-tailed kite, bird art of Swift-tailed kite, bird illustration of Swift-tailed kite. The Black Kite (Milvus migrans) is probably the earth's most numerous bird of prey. Black Kites breed in Europe, Africa, Asia and Australia.